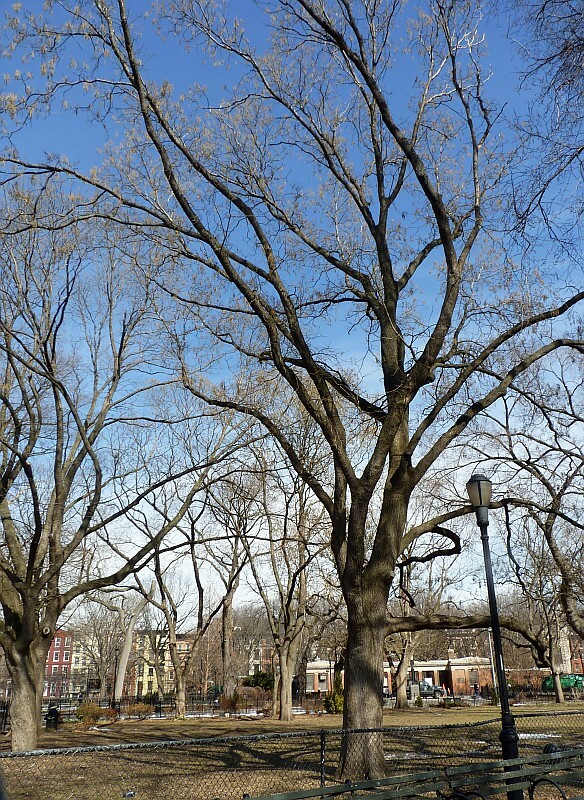 I’ve been scanning Tompkins Square Park for signs of Spring. From a distance (these are on the tops of very tall trees) I first thought that these seedpods were new growth on the scholar trees in the Central Lawn. 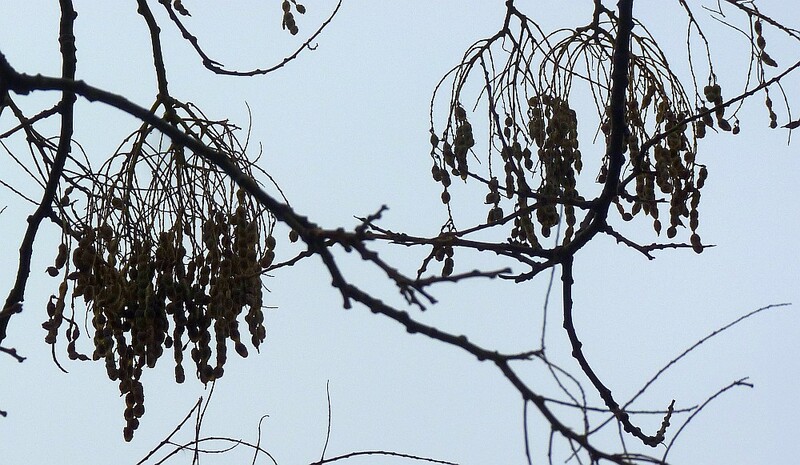 But no they appear to be seedpods that overwinter on the branches. If anything eats them it is not apparent. 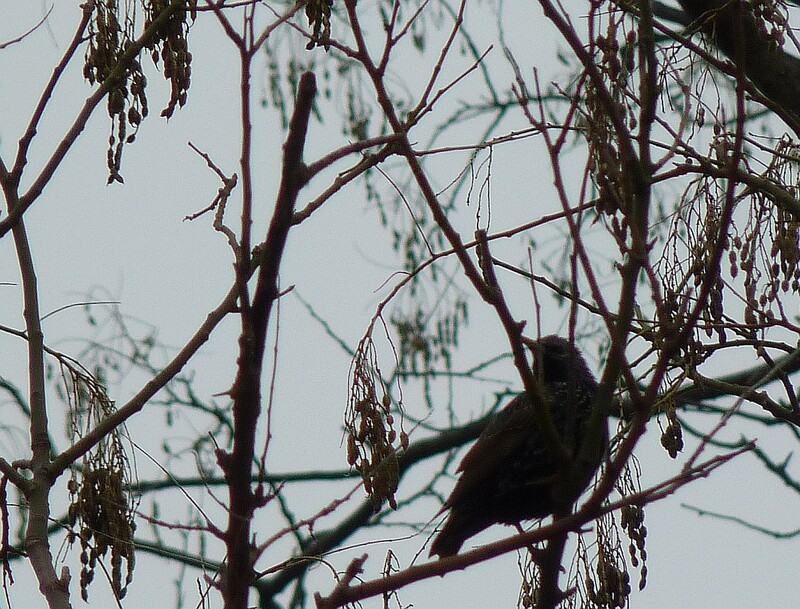 I think the bird is a Starling. 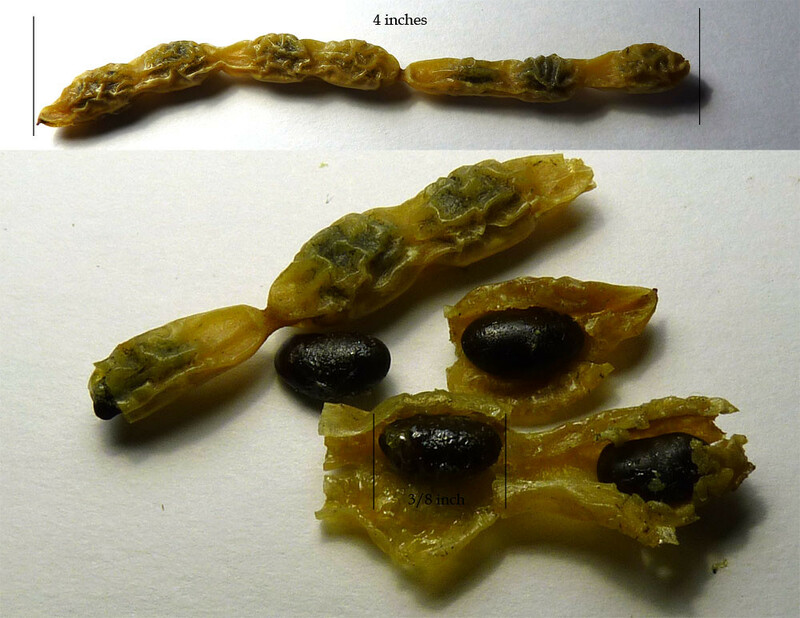 I took one of the seedpods home and dissected it. It was very sticky inside. 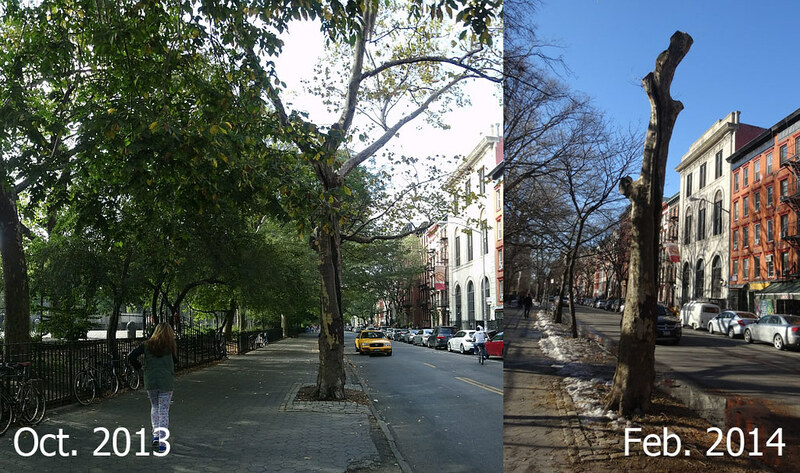 This London Planetree on East 10th Street near Avenue B has looked in bad shape for years, with that long wound along its trunk. It is no surprise that the arborists decided to take it down. But still it is sad to see it go. The stump a few days later when they removed the trunk. 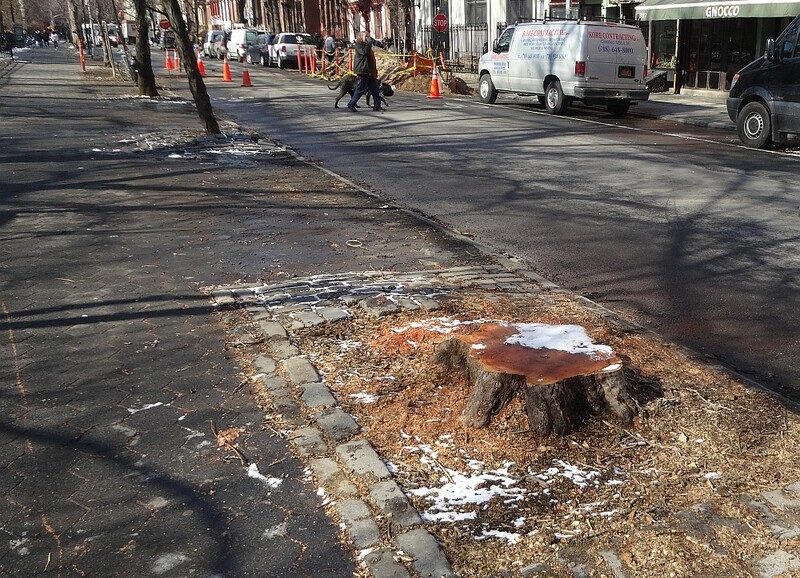 I’m not saying that the Con Ed steam pipes killed this tree, but they do make it hard for any new tree planted along the curb to survive their first few years. The block is dotted with sad muddy patches of past failures to thrive. 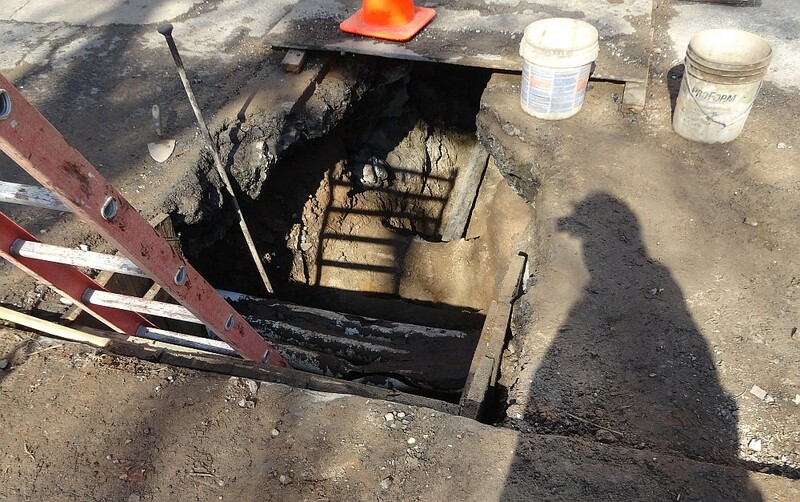 Con Ed cut this hole open the other day for repairs and I got a glimpse of what was beneath the pavement. 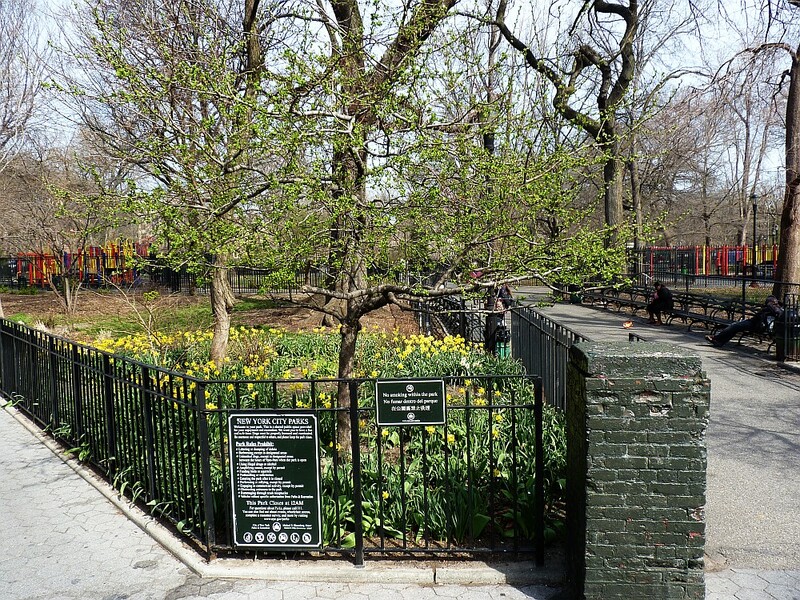 The southeast corner of Tompkins Square Park gets a lot of sun. 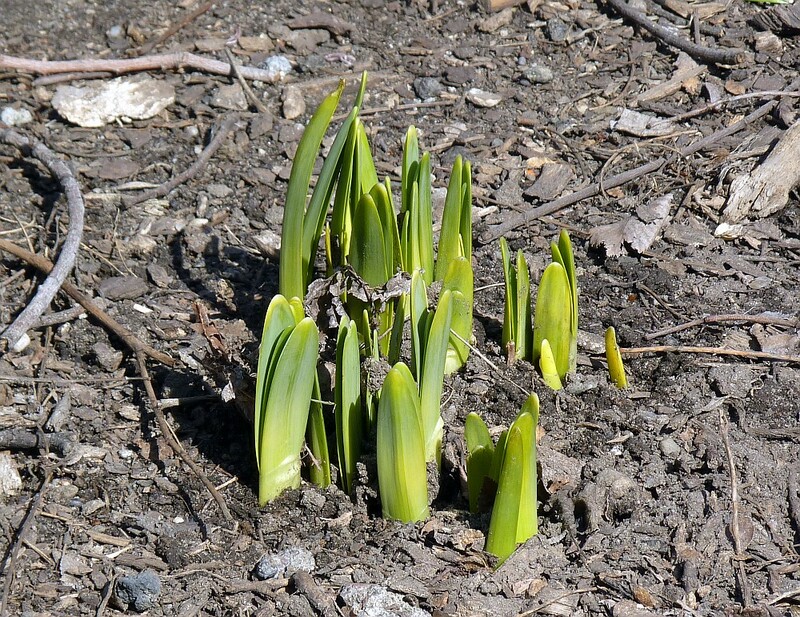 The bed of daffodils there is sprouting, they were the first I’ve seen this year.